I am making Sichuan pepper tri-tip and I wanted a vegetable dish to go with it. It has been a while since I made dry fried green beans. I did not look at the recipe I posted four years ago, I just did what felt right. This is Eilene’s birthday week, so she got to choose Sunday’s dinner. She wanted spicy chicken and pan fried noodles. While this is a meal in itself, I thought that a cold, vegetable salad would be a nice addition to the meal. Chinese long bean is one of the vegetables that we were introduced to in our time in Chengdu (25 years ago). 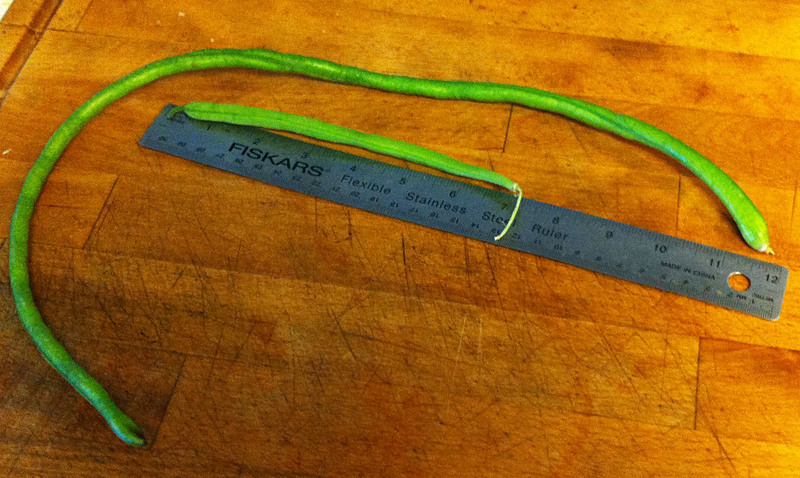 They are about two feet long and are thinner, tougher and have a rougher skin than Western green beans. 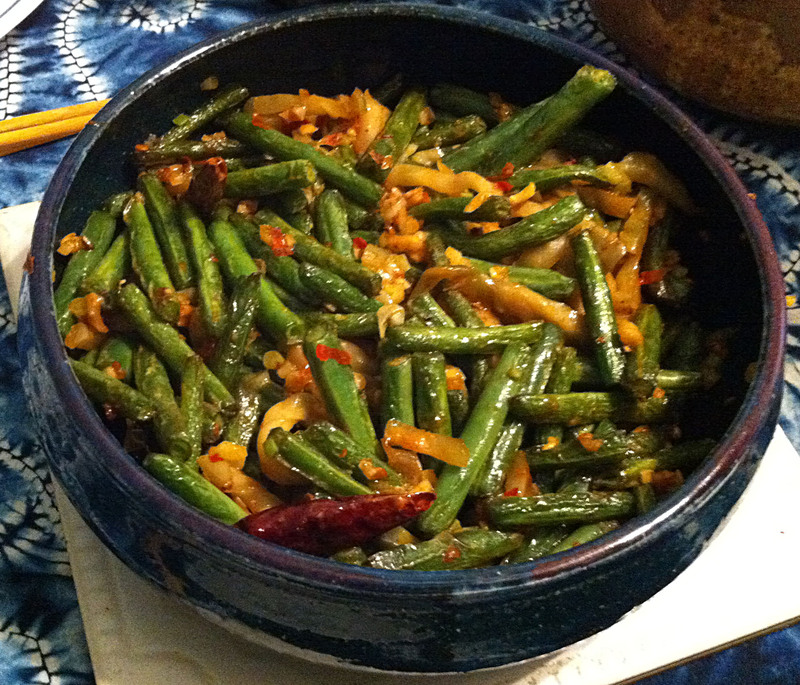 Although most American Chinese restaurants use Western green beans in their dishes—because of availability and American tastes—this is the green bean called for in traditional recipes. Today, you can find them in most Chinese specialty stores. Jan requested that I finally figure out how to make dry fried green beans like we get from our favorite restaurants. I have tried making this before with dismal results. The beans have always come out both burned on the outside and raw on the inside.